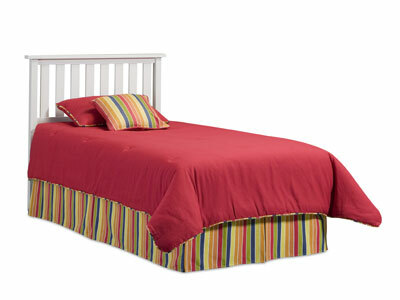 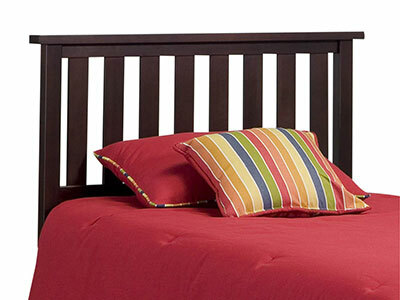 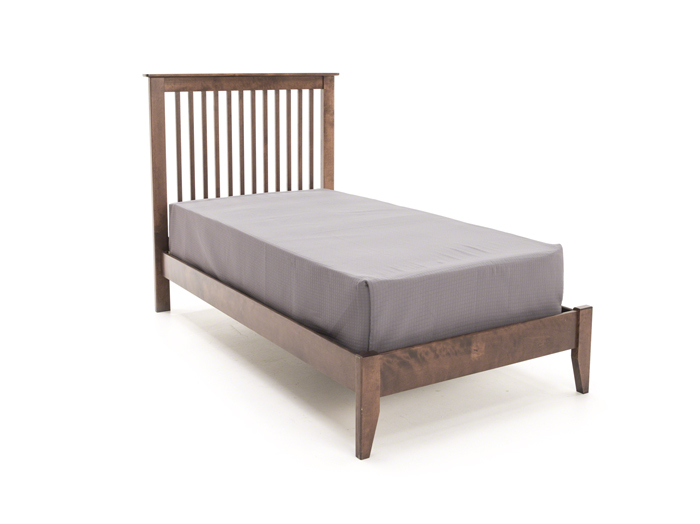 A popular contemporary design theme makes this bed a best seller. 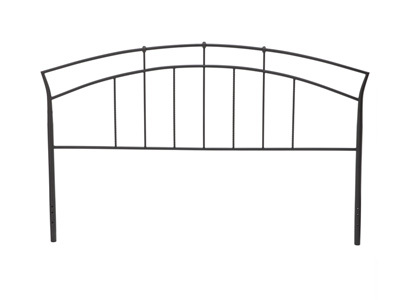 Tapered side posts and strategically placed doughnut style castings are highlighted by twisted spindles. 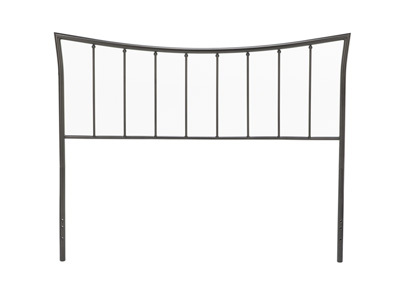 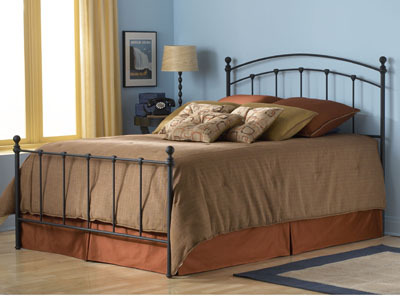 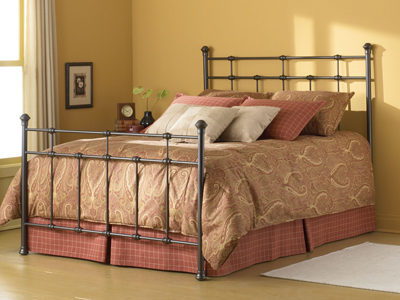 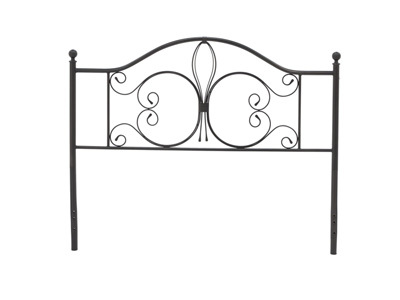 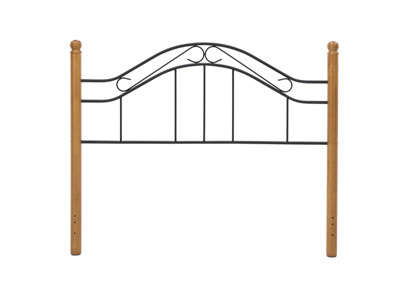 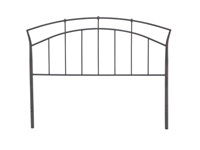 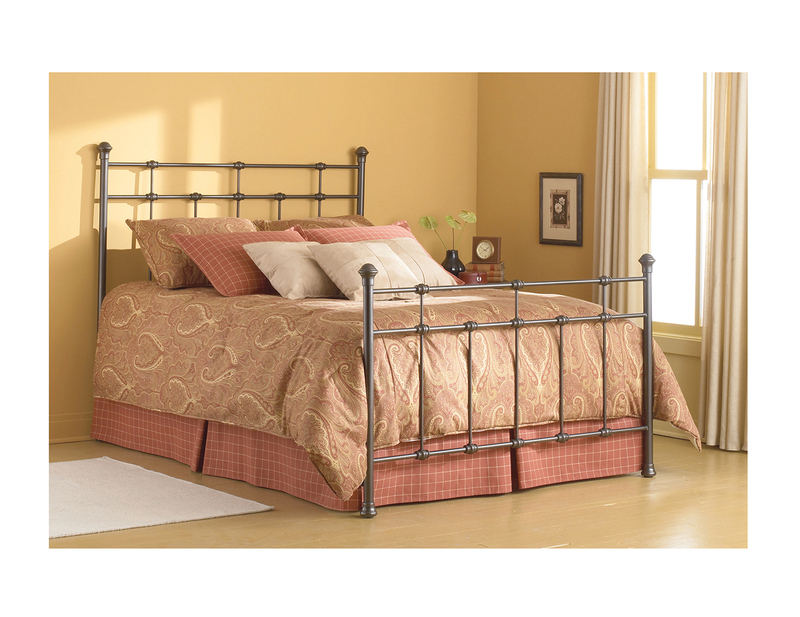 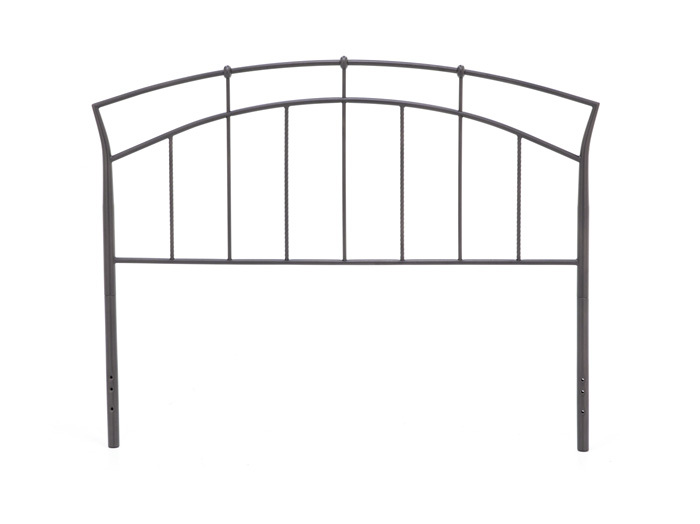 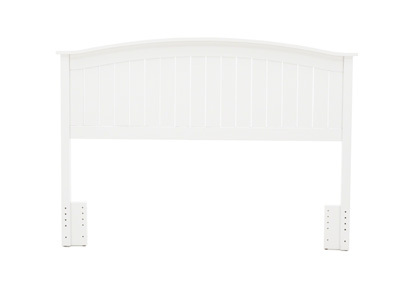 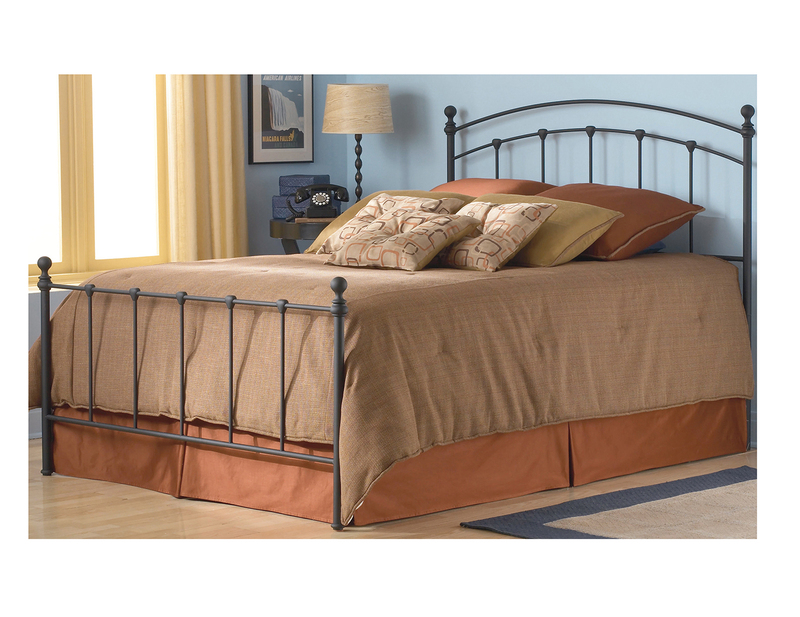 This headboard features a textured antique brown powder coat finish.